for $292,500 with 3 bedrooms and 2 full baths. This 1,500 square foot home was built in 2018 on a lot size of 1.06 Acre(s). Newly Constructed! 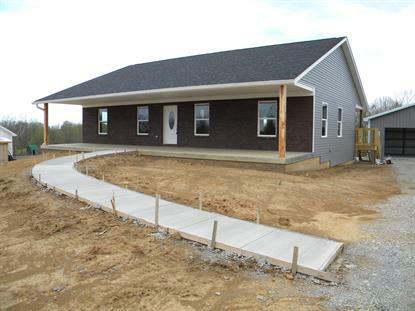 Brand new 3 bedroom, 2 full bath home with unfinished lower level on just over an acre of land. Home has 1500 sq ft with 1450 sq ft in lower level. Split floor plan with large open great room, kitchen and dining area. Cathedral ceilings throughout. 10x50 covered front porch and 10x50 covered back deck. Walkout lower level with 10x50 concrete vault for wine cellar, gun safe or safe room with air and heat vents. Lower level is also roughed in for 3rd bathroom. Walls and Ceiling are tongue and groove. Kitchen and bathroom floors are tile. 2 ceiling fans in great room. Stainless steel appliances. Detached 24x20 2 car garage.